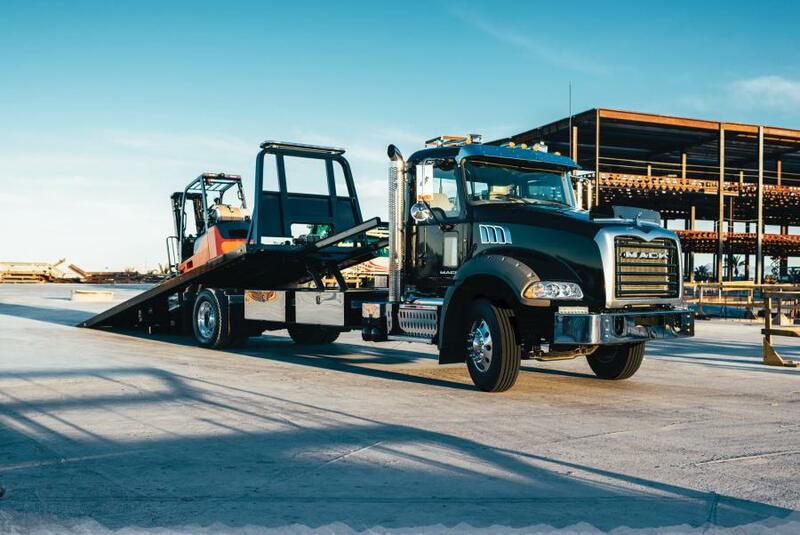 Mack Trucks announced several new enhancements to its Mack Granite medium heavy duty (MHD) model, increasing its versatility and enabling even more cost-effective choices for customers demanding a durable but lighter work truck. The MHD, equipped with the Cummins L9 engine, now features a lower horsepower option, allowing customers to spec an engine with 330 hp and up to 1,000 ft.-lb. of torque. The lower horsepower rating offers customers yet another option to increase their ROI. The MHD model can be spec'd as a Class 7 or Class 8 vehicle, is offered in either an axle back or axle forward configuration, and is available as a 4x2 or 6x4, offering customers the flexibility to choose between a heavy-duty and a lighter-weight medium-duty option. An axle back tractor option meets the needs of light tractor applications requiring maneuverability, flexibility and durability without extra weight. A shorter wheelbase also is now available for the MHD model in the 4x2 configuration, ideal for the 10-ft. dump body commonly used in municipal applications, and in general, providing a more maneuverable, cost-effective option.